When I was a little kid, for some reason one summer day following a rain, the boys in our neighborhood gathered for an epic battle where we threw mud at each other all day. Today, the world feels like that every day. As Christians, when people start slinging mud at us, we should pick it up and get a good look at it. Maybe put it under a microscope and study it. We should under no circumstances throw it back. Frame suggests that we analyze tolerance through a three-part grid. Should we tolerate practices? When it comes to other religions and alternative sexualities and such, it depends on what we mean by tolerance. We will not sanction gay marriage ceremonies in our church. But say you move next door to a gay couple. Of course you should love them and be the best neighbor you know how. You can still hope they would meet Jesus and walk in repentance. Should we tolerate people? Absolutely. It’s where the Bible talks about loving our neighbor. So somebody says, “Are you tolerant?” You say, “Well, I really love people, and I’m willing to live in relationship with people that I really disagree with as long as we can be open and honest. I can talk to them about what I believe, and even be open about some things I’d like to see change in their life for their own good. And maybe they would like to see some things change in me.” I have friendships and loving relationships with all kinds of people that disagree with me on all kinds of things. But as Frame pointed out in our interview, different situations might demand different levels of tolerance. “In the church, for example, we might welcome someone to our worship service, but refuse him as a member.” We might have different standards of tolerance for people who attend compared to church leaders and pastors. I played in a baseball tournament when I was 13, and the kid was throwing so fast there was no way in the world we were ever going to get a hit on him. Somehow, he walked a kid and then threw a few wild pitches, so we had a runner on third base. My coach came up and said bluntly, “Mark, I need you to get hit by the pitch.” I gave him a look that said, “You know he’s going to kill me, right?” But my coach wouldn’t let it go. He kept pressuring me to take one for the team. He said, “No, crowd the plate, lean over, and when the ball comes, just turn, and let it hit you. For our team to win, you have to get on base.” And you know what? It worked. Sometimes you just have to take one for the team, and that includes Team Jesus. In their eyes our fortitude proves or disproves the truth of what we claim to believe. When the gay rights movement first started, it was a minority group that was viewed with disparagement and called horrible names. And what did they do? They hung in there. Or consider it this way: If a guy today is on his rug praying toward Mecca openly and publicly at the airport—post 9/11—he is probably pretty committed to Islam. It is not bandwagon time for Islam in America. So if I wanted to know more about Islam, I would pick him, because I want to talk to the guy who really believes and practices what he preaches. Why in the world would we think that Christians should have less fortitude than people who are committed to their sexual identity—or to another religion? We shouldn’t. And we can’t. The bravery and commitment Jesus calls us to stands out because it’s supernatural. People are going to call you names when you live out your faith, but your recourse isn’t anger or fear, it’s love. You’re called to speak the truth and live the truth in love. So hang in there. This is just the beginning. 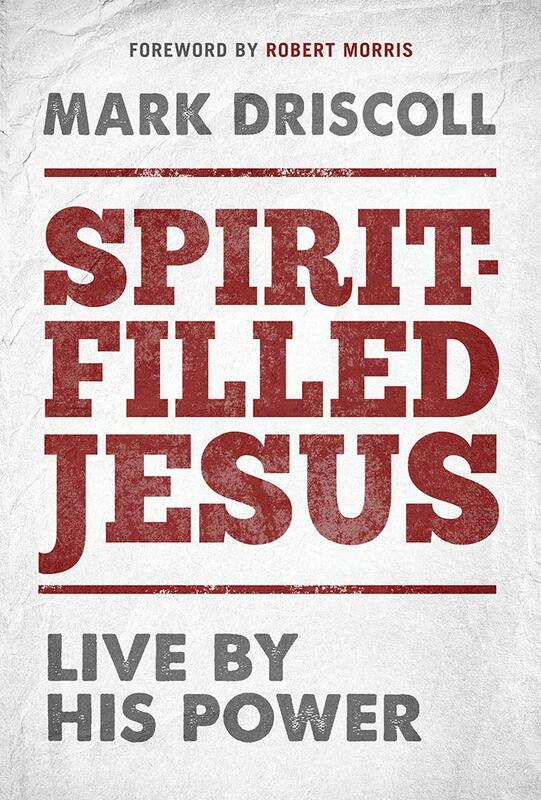 This series of 30 daily devotions are adapted from the first chapters of Pastor Mark Driscoll’s new book “Christians Might Be Crazy” available exclusively at markdriscoll.org for a tax-deductible gift to Mark Driscoll Ministries. For your gift of any amount, we will email you a digital copy of the book (available worldwide) and also send you a paperback copy of the book (U.S. residents only). Pastor Mark also has a corresponding six-part sermon series that you can find for free at markdriscoll.org or on the free Mark Driscoll Ministries app. Thank you in advance for your partnership which helps people learn that It’s All About Jesus! For our monthly partners who give a recurring gift each month, this premium content will be automatically sent.